Pavel’s latest set of principle based training protocols, called Strong Endurance , paints a picture of a world in which we can train at a level that may seem blasphemous to some and too good to be true to others. But, by following the principles laid out by Strong Endurance , improvements in endurance or conditioning can be see more quickly and much more safely than with many of today’s popular methods. Let’s explore why. Anti-glycolytic training (AGT) protocols are just like they sound—training approaches that avoid relying on the glycolytic system. It can be extremely helpful to understand the science behind why these protocols are so effective. And you don’t have to have a degree in cellular biology to understand it—a basic understanding is sufficient. Note: That said, if you want an in-depth and comprehensive explanation of the science behind this approach I strongly recommend you attend a Strong Endurance course. It is by far some of the best time and money I have ever spent in my fitness career, and that includes the time and money spent on post-secondary education. Essentially all human movement is powered by a compound called adenosine triphosphate (ATP). Your body is supplied with ATP by three energy systems: the ATP/CP system, glycolysis, and the oxidative system. It is common to refer to ATP as “energy currency.” So, let’s think of ATP as money, and your energy systems as where you get the cash to buy your movement. Your first energy system is the ATP/CP system. It is the most powerful, first and quickest to respond but it only lasts about thirty seconds. This is your walking around money, the money in your pocket. It is stored in your muscles and liver for everyday activities like brushing your teeth or climbing the stairs to go to the bathroom, to run for the bus, or away from a tiger—whatever you need “instant energy” for. The drawback with this energy system is that our “pockets”—the storage tanks in our muscles—are small and we run out of money very quickly. This means if the bus driver doesn’t see you and you have to run an extra block or two, your “pockets” will run out of “cash” quickly and will need to be topped up in order for you to keep running. This brings us to the next energy system, glycolysis. The second system is called glycolysis. This system isn’t as powerful as the ATP/CP system, but it lasts a little longer, around two minutes. It can refill our energy pockets quickly, but the speed with which it gets the energy-producing job done comes at a cost. Glycolysis makes a huge metabolic mess by leaving behind a lot of waste by-products that will have to be cleared (paid off) from the muscles and blood stream. Let’s call this waste “debt.” This debt is the burning you feel in your muscles during certain training intervals and it must be paid off in order for work to continue. The burning sensation in your muscles is just that—burning. This burn is caused by the build-up of hydrogen ions (H+) or metabolic waste. This has come to be referred to as “acidity” in the muscles. It’s not that your muscles fill up with acid during this time, but the abundance of H+ ions lowers the pH of the muscle. Now, for sessions longer than two to three minutes, we cannot count on either the ATP/CP system or glycolysis, and must instead rely on the use of oxygen, which brings us to the oxidative system. The third system is the oxidative system. It produces the lowest amount of power, but is extremely efficient, very “clean,” and can potentially go forever. In fact, as long as the body is properly fueled, other parts in your body will give out before this energy system does. This energy system is that pool of money we all wish we had, the money tree. Under the right circumstances, it’s endless and will keep our energy pockets overflowing. This is the system that gets you through marathons, triathlons, or that three-hour walking tour. All that is required is a lower over-all energy output and oxygen. While my analogy simplifies things, hopefully it also brings some clarity. It’s also important to understand that in reality all of these energy systems work together at the same time and there isn’t a hard line when one stops and the next one takes over, but depending on the level and duration of your energy output one system will be called on more than the others. Once we have an understanding of where our energy comes from and how it’s produced, we can start to break down how this relates to anti-glycolytic training. Essentially, AGT focuses on training bouts that push the ATP/CP system (pocket money) right to the edge of its capacity, but stopping the bout before glycolysis (debt) kicks in fully, basically avoiding the burn. You will then rest long enough to allow your ATP pockets to recover and then repeat the bout. This is done for a prescribed number of minutes, based on the goals of the training session or the protocol you’re following. The game changer about this approach is that, after not too long, the recovery of the ATP/CP system becomes the job of oxidative system (the money tree). You spend all the money in your pocket by creating an oxygen deficit in your body causing the need to breathe heavier to allow work to continue, and then rest, to allow the money tree (oxidative system) to refill your pockets and then go on another short spending spree. A quick and easy example of this style of training is “on the minute” training (OTM). Start your watch and do 10 swings, rest for the remainder of the minute, then at the top of the next minute preform 10 more swings. Repeat this process for the prescribed or desired amount of time. This will give you 10-15 seconds of hard work followed by 45-50 seconds of rest, and ensures there is a favorable environment in the body to allow for repeated bouts of work for extended periods of time. This approach has been shown to be a superior way to train muscular and cardiovascular endurance, but citing the research is beyond the scope of this article. As I said, Mr. Tsatsouline has put together an amazing course with a comprehensive manual full of research, and I wouldn’t dare to attempt to replicate it. If you are interested in more info, you know what to do. However, it should make good intrinsic sense that going into debt every set of every training session can’t be a good thing—and therefore using a training approach that prevents a buildup of debt is key. First and foremost, avoid the burn. Follow your strength training program (that also doesn’t have you going to failure, right? 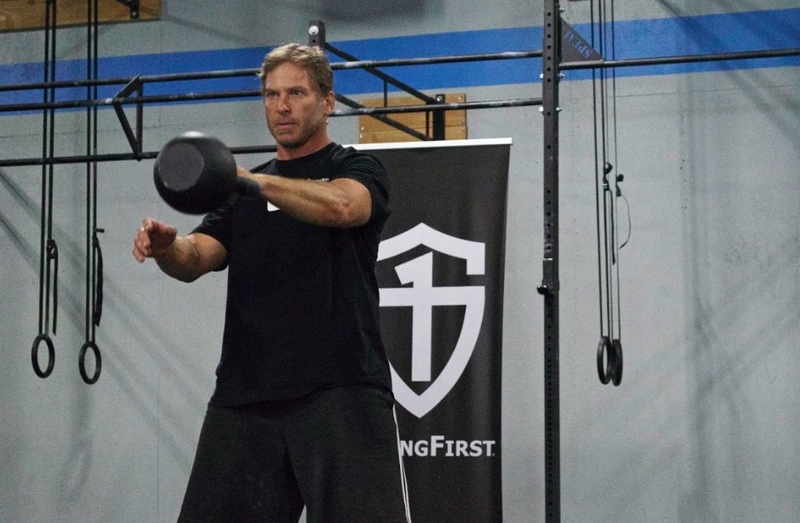 If you’re not sure how to set up this style of strength training, all the info you need is located on StrongFirst.com). 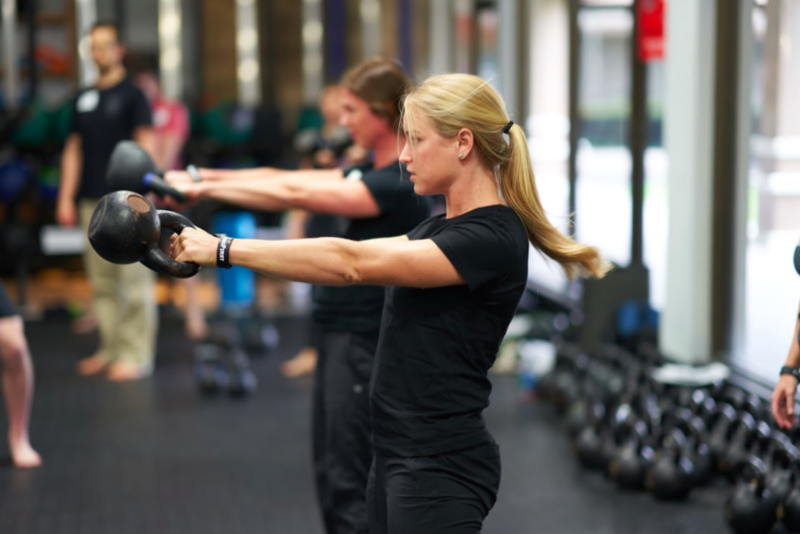 Then, two to three days per week, follow your session with 10 kettlebell swings on the minute for 10 minutes. Don’t aim to get smoked or destroyed over these 10 minutes. Instead, focus on crisp, powerful swings followed by breathing and fast and loose drills. See how quickly you can recover. Try to make each set as easy as possible—not as hard as possible. On one or two other days per week, go for a run, ruck, cycle, or row. Choose a distance or time that is realistic for your current fitness level and work at a pace that allows you to breathe through your nose the whole time. Try this approach for one month and I’m sure you will find improvements in your endurance and more enjoyment in your training, with a far less risk of injury. In our culture of “if some is good, more is better,” we have become so dependent on “feeling” like we had a good training session, that we’ve forgotten what it actually feels like to have had a good training session. Pain, discomfort, and failure while training are as undesirable as spending more money than you have in your pockets every time you go out. It feels good to buy or do all those cool things in the moment—but then the bill comes and you have to pay. On the other hand, understanding that it doesn’t take long for our ATP pockets to fill back up from set to set and from session to session—especially when we don’t have a bunch of debt to pay off first—that we can keep the output of our intervals at a reasonable level and really start to see some serious progress. The post Understanding Why “Less Is More” with Anti-Glycolytic Training appeared first on StrongFirst.